Smart social media listening & analytics software for your business. Measure the efficiency of your social media team using metrics that matter and empower them with the right tools to improve your brand personality. BrandMaxima is a leading Social Media Intelligence & Analytics Platform for Brands, Digital Media Agencies, Content Creators, Academic researchers and Journalists. BrandMaxima tracks over 50 Million Social Media Channels, 5 Billion Social Media content and Analyze the behavior of over 500 Million Consumers worldwide everyday. BrandMaxima's Social Media Account Tracking & Reporting features allows one to track and monitor the performance of any Social Media account in YouTube, Twitter & Facebook. BrandMaxima provides live insights on how posts / videos of an account is performing, Follower Rank based on global, category and country level, audience engagement analysis based on different factors like posting times, content category, content length, media etc. It also provides the list of most popular content, most engaged content and filter them date, category, language etc. BrandMaxima's #Hashtag / Keyword Tracker allows you to track and monitor the performance of any #Hashtag / Keyword and give actionable insights like How the tags are performing over time, What is its potential reach, Who are the Top Influencers who posted about it, Who are the top Contributors, What are their geographical distribution, Demographic and Sentiment Analysis etc. You can also download all the posts mentioning the keyword in an customizable PDF format or an excel format. Consumer Behavior Analytics is all about understanding who is your consumer, what do they do and how they act. BrandMaxima's Consumer Behavior Analytics provides detailed insights about the Subscribers/Followers/Fans of any Social Media Account with their Demographical and Geographical data, the topics they are interested in, the content they are consuming in other channels / accounts and the list of other social accounts they follow / subscribe to. BrandMaxima's Influencer Marketing Platform provides you the option to identify Influencers for your Brand or Campaigns with the help of deep filters like Country, Category, Active Status, Followers Count, Follower/ Following Ratio, Views Count, Age & Gender, Language etc. We also publish Top accounts, Fast Growing accounts, Highest Subscribers/Followers/Fans Gaining accounts and Cross Platform Ranking Worldwide, Countrywide and Categorywise. This will help you to identify and track the influencers for any of your campaigns in minutes. Social media metrics helps you determine the performance of your social media campaigns and the ROI from them. Tracking the right social media KPIs is the key for measuring accurate ROI. BrandMaxima's automated report offers all your key social media KPI in just a click. All our reports are in real-time and gives you the power to discover insights as data is collected to improve in-the-moment decision-making. Real-time social media monitoring helps your business to monitor and adjust its strategy to get better results. Trend monitoring is important for any business. Understanding the trending topics on social media is very important to keep your brand ahead of the competition. It gives you a better understanding of your audience and allow you to create interesting, relevant content. Analyze industry and competitor social media channels, benchmark their content engagement and audience growth against your owned accounts. Competitive benchmarking allows you to get on top of what is happening out there. It shows you how the competition is working, and what results they are getting. 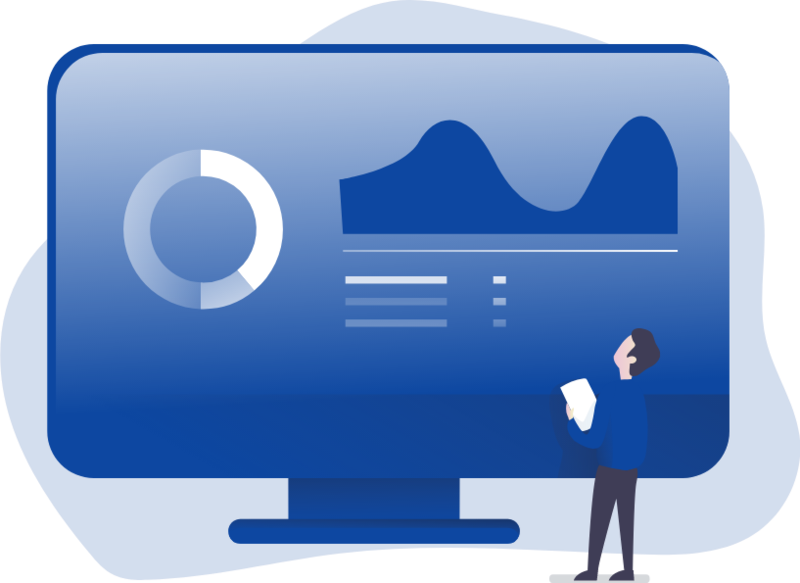 All Brandmaxima dashboard reports are simple to understand and includes interactive visual graphics – making it easy to use, even for beginners. BrandMaxima's account tracking offers upto 2 years of historical data for any social media account and hashtag tracking offers upto 30 days of historical data for any hashtag/keyword by default. Should you require, deep historical data over and above this period, write to us and we will provide it for you. Our No-hassle subscriptions start at just $29 / month which allows you to track and analyze upto 10 social media accounts, 5 hashtag campaigns and unlimited instant hashtag reports. We care about reliability. BrandMaxima offers dedicated support for all customers through Email and Live Chat.